Jen Greyson is the CEO and founder of CoCo, “the airbnb of office space”. Jen’s career began in corporate America, and found her way to the blockchain world about 2 years ago – finding a huge contrast between the secrecy of the traditional business space and the transparency and collaborativeness of blockchain projects, as well as the speed of change of and development. She also felt an immediate sense of connection and fit, with the open-source blockchain community and everything it is working to accomplish. 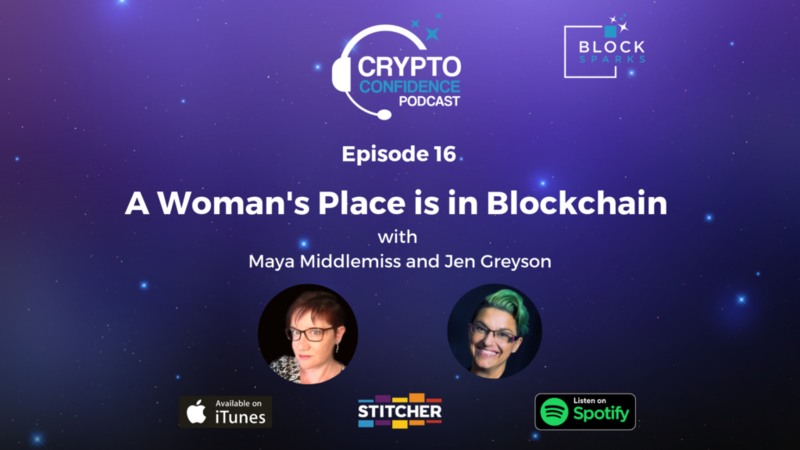 We also discussed the role of women in blockchain, and Jen expressed admiration for the pioneering work of women in the space who are leaning in and opening doors, making space for every skill that the industry needs (far more than technical skills). Blockchain and emergent tech generally needs more women, as users and problem solvers and business people… So that we can develop solutions which meet real needs in society “if women aren’t part of the conversation, they can’t be part of the change”. Women are part of so many purchases and processes in society, and blockchain is going to impact on many of these areas of life, we must ensure we’re part of the dialogue. Women care about who else will be impacted, and we’ll move heaven and earth to create change for their people. We also talk about the ‘marmite’ nature of the blockchain and crypto space – to which nobody ever seems to be indifferent. And the way crypto years run differently to normal time! But there’s a warm welcome guaranteed for everyone, so come on in! A new blockchain protocol, enabling some very specific privacy and scalability properties. Dark art, or the future of privacy? That remains to be seen. Cryptocurrency implementations include Grin and Beam. Learn more in our regular ‘Crypto Alphabet’ section. And now you can join our NEW community on Facebook! Be one of the founding members, and join in the conversation. Want to get started buying your first cryptocurrencies? 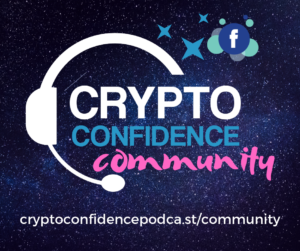 We recommend Local Coin Swap, for your peer-to-peer transactions, and Coinbase to buy centrally – these links help support the show.